King Evan’s quest has not ended quite yet! 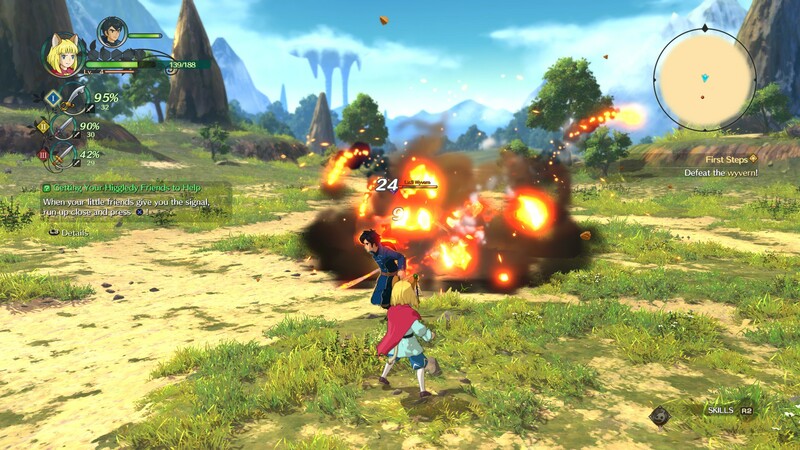 Bandai Namco announced three pieces of DLC for Ni no Kuni II: Revenant Kingdom, the first of which is expected to launch in August and continue through into 2019. The two larger DLC drops, part of the Season Pass will be released this winter and early 2019 respectively. The Season Pass is available for purchase at an MSRP of 19.99. Adventure Pack DLC #1 – A new challenge for experienced players. The Adventure Pack adds additional floors to the Faraway Forest Cave, two new bosses; Blackhart and Zeta, and new quests that will be unlocked after completing the game’s story. Evan and his friends will find new costumes and additional rewards to acquire in the Adventure Pack, which will be free to all Ni no Kuni II: REVENANT KINGDOM players. (Season Pass) DLC #2 – Available this winter, this DLC will feature a brand new enigmatic dungeon for players to explore. Evan and friends will plumb the depths of this cryptic dungeon facing increasingly stronger enemies while trying to reach its deepest levels. The journey will be difficult, but the reward will surely be worth it! (Season Pass) DLC #3 – Expected to release early 2019, an additional story expansion of Ni no Kuni II: REVENANT KINGDOM will be available full of exciting content.